The Dog Snuffle Mat Treat Puzzle uses your dog’s natural ability to snuffle and root around to search for things using their sense of smell. The snuffle mat will provide lots of stimulation as they search for kibble or treats that you have scattered in the mat. Mental stimulation can be tiring for your dog, so using this toy can wear them out and help them relax! 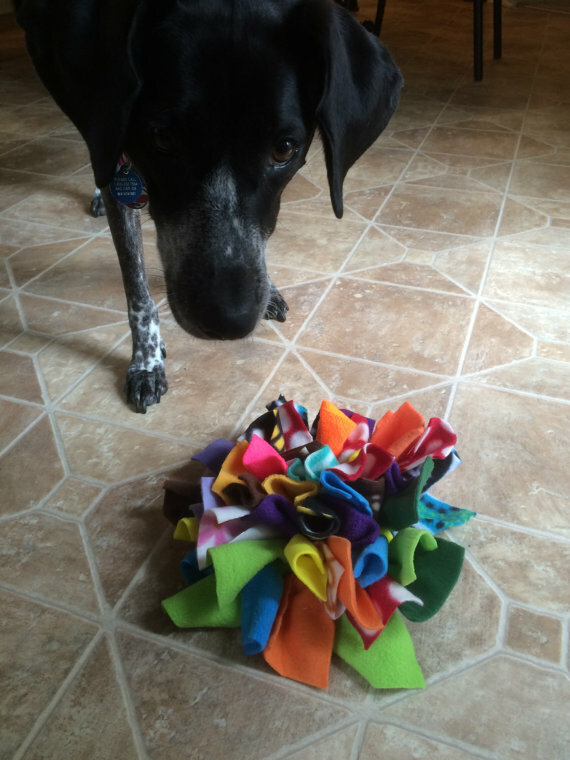 Company Story – The Dog Snuffle mat was created by a dog trainer in the Charlotte, NC area who is dedicated to using positive reinforcement training methods. Product Story – The base is heavy rubber tied with hundreds of pieces of multi-colored fleece so the treats are challenging but not impossible to find. 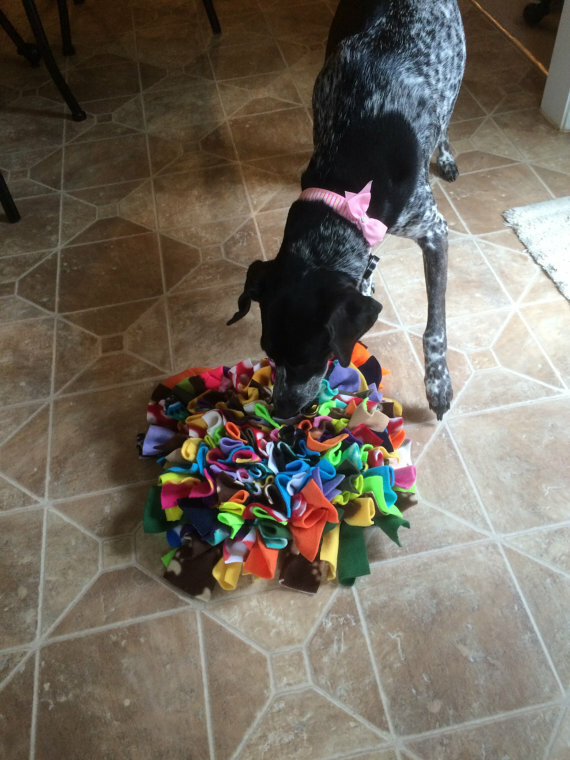 The base of the large snuffle mat is 12 inches square, overall size is approximately 18 inches square. Assorted colors. The dog in the photo is “Karma”, Edie’s 55 pound German Shorthaired Pointer. (Dog not included!). Start out by scattering a few treats on top of the toy that your dog can easily find. Next time scatter the treats then lightly brush the toy so the treats fall into the fleece. As with any toy, please monitor your dog’s interaction with this toy to make sure they are using it appropriately.